I love Skippers, I may have mentioned it before. They are small, cute, furry and very confiding; though that latter characteristic could be more accurately interpreted as territorial and pugnacious. This Large Skipper butterfly (note the black, twirly antennae tips mentioned in my Skipper butterfly identification article) is perched on a humble bramble flower aka Rubus frutiscosus, a member of the romantic Rose (Rosacaea) botanical family and predecessor of modern blackberry cultivars, yet today considered a nuisance weed for most Gardeners due to its vigorous nature. This photo serves as a timely reminder that less than glamorous native species can be excellent food sources for both adult butterflies and their caterpillar stage, not to mention other pollinators. I this week's Gardener's World episode, a Welsh research study into Bees favourite nectar source has indicated they will travel further afield to collect pollen from native species in preference to most garden ornamental imports. 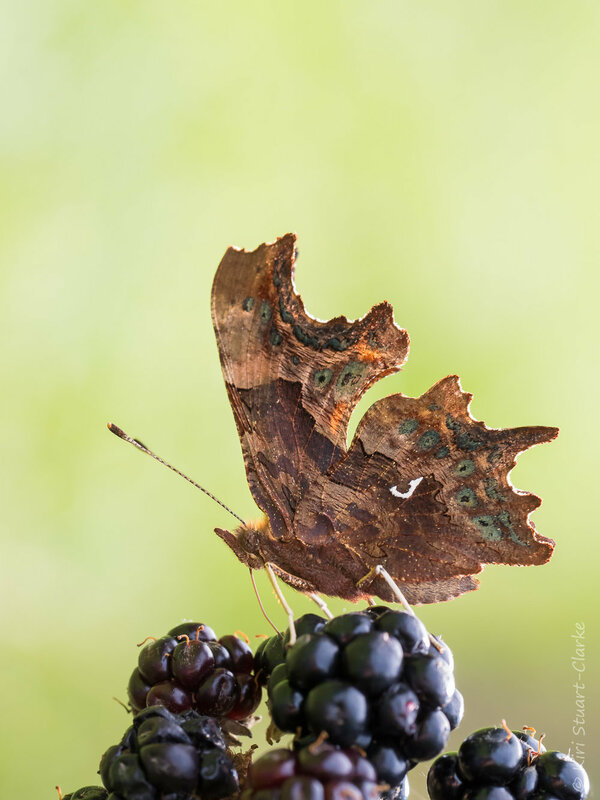 According to Chris Manley's British Moths and Butterflies, a bramble bush can serve as a caterpillar host plant for some 35 moths and butterflies, including threatened Grizzled Skipper butterflies as wells as the impressive Scarlet Tiger and Emperor moths. Perhaps in wildlife terms, not so humble after all. And yes, if you stop, look closely... close your eyes... inhale the scent..., a rose by any other name remains as sweet. Some friendly September weather did seem to bring out a small flurry of late emergences in some species who had a tough year like small coppers. Finger’s crossed for a better season next year! At last! Today, a gorgeously golden August bank holiday Monday, I was in Small Tortoiseshell heaven in my back garden with my Olympus 300m lens. With our wildflower meadow newly shorn, I could enjoy wonderful close up views of a late summer brood of Tortoisehell butterflies. They were a beautifully vivid, rich russet-orange colour as they flitted gracefully between the edge of our wildlife pond and our white buddleia, sweeping in to nectar on the pond side water mint. One butterfly cheekily nectared on a water mint flower so close to the water line that it had a narrow escape from becoming dinner with our rather noisy resident frog. But I’m lucky to be enjoying this sight, because, despite this week's flurry of emergences, today the Butterfly Conservation Society issued a press release about their worrying decline. The Small Tortoisheshell’s population has plummeted by 73% since the 1970s. 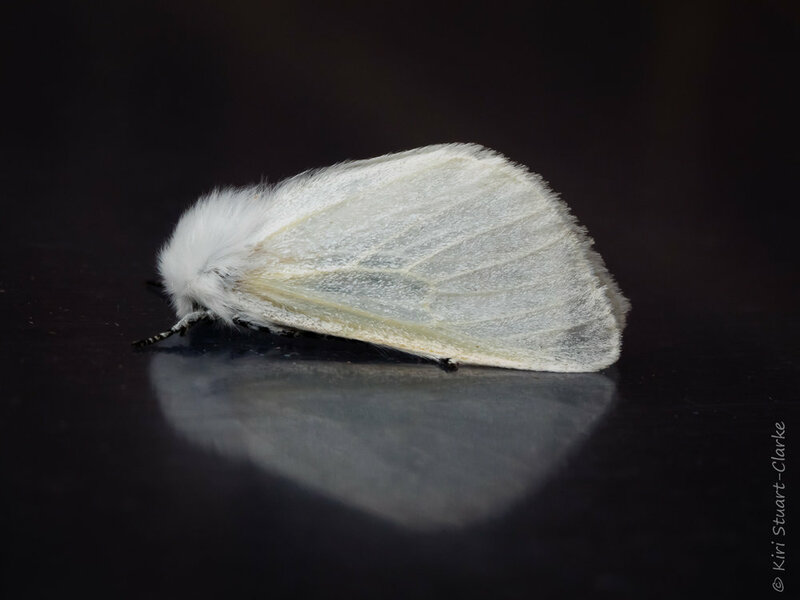 Like many butterflies, habitat loss is an issue, but in addition the growing numbers of a parasitic fly, Sturmia bella may also be a contributory factor. 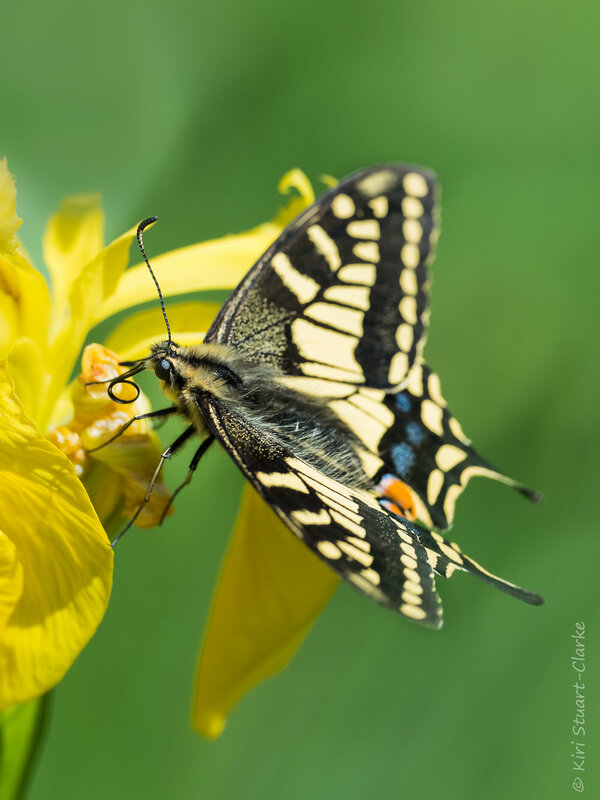 Due to their complex lifecycle, butterflies need caterpillar food plants for their larval stage, as well as nectar from flowers and fruit after they metamorphose into butterflies. Small Tortoiseshells, like several of the nymphalidae butterfly family, use nettles as their caterpillar host plant. Gardens are increasingly playing a vital role as a habitat in our rapidly changing environment, so if you are a gardener, allowing a generous patch of nettles somewhere sunny at the edge of your garden really could help a struggling butterfly to recover, and when emerging Small Tortoiseshells grace your flower borders, make late summer days in your garden even more beautifully golden. A slightly bizarre blog post title, I know. The connection is that these were the first two subjects that I photographed with the newly launched Olympus 300mm f4.0 pro lens. In old money that gives an effective reach equivalent to some 600mm, a wildlife photographers dream lens. But I wondered if a bokeh was possible, whether the images would really be as sharp as Olympus claimed, and whether the lens might be suitable for long lens macro photography. Some pretty wild carrot flower seedheads, known as Queen Anne's lace, were my first attempted subject. Immediately I took the lens cap off I had a nasty shock. The lens simply wouldn't focus. The focus point refused to stay still, it bouncedaround lly all over the place. Feeling deflated and not a little seasick from the circular motion I went to do a little investigation and realised that I needed to upgrade my camera's firmware to support the latest in camera focus stabilisation. That done. the camera's focus improved dramatically and behaved beautifully again. I finished taking my shot of the wild carrots' dainty seedheads and was pleasantly suprised at the sharpness and bokeh I that was able to achieve. That still left the question of whether, with the predictably long minimum focus distance of 1.4m, the 300mm lens would be at all suitable for larger less tolerant butterflies and dragonflies, some of my all time favourite macro subjects to photograph. An obliging red admiral butterfly very much preoccupied with nectaring on my garden privet hedge allowed me to put the lens through its paces. Because of the long reach, it was a little challenging to get the focus spot on and the 1.4m minimum focus distance was, as expected a real constraint, so I am still dreaming of a nice 100mm f4.0 macro with a minimum focal range more like 40cm. Even so I did get some lovely shots rich with detail and could see this lens working nicely with tree top species. By the time we reach August., though its still very hot and to us the height of summer, in the natural world the days are already drawing in and autumn is just around the corner. Its already getting a little easier to capture soft light in mornings and evenings and if you rise early after a clear night you might even find dew on the ground. August is a great time to to visit our lowland heaths where the beautiful pink carpet of flowers is just coming into its own and can make a wonderful backdrop for close up photography. 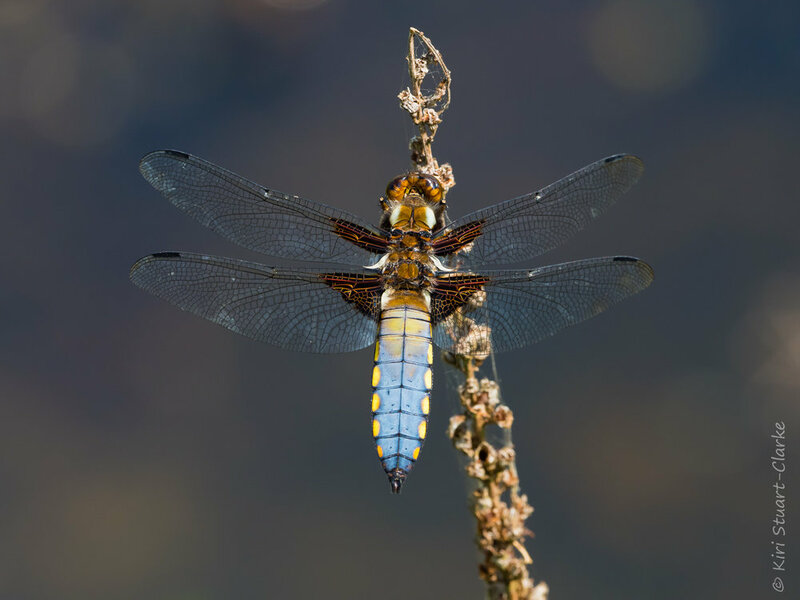 August is a good month to spot late dragonflies as well as second brood and migrant butterflies. Most first generation butterflies are getting very tatty by now and make poor photographic subjects but some species have second broods that metamorphose around now. The late summer harvest means that hares, who have enjoyed the cover of the growing crops since spring become easier to spot hunkered down in the stubble of harvested fields. Many birds are already preparing for their Autumn migrations and this month I've immensely enjoyed watching the fledgeling swallows and house martins practice their flight and feeding up around my wildlife pond. [singlepic id=335 w=800 h=0 float=center] One species of butterfly that seems to be faring well despite the awful summer we've been having is the chalkhill blue butterfly. It is no small irony that after living at the bottom of the Ridgeway National Trail for nigh on four years, my first sighting and image of a chalkhill should be taken in Norfolk instead! Its not a butterfly you would expect to find in Norfolk; as its name suggests the chalkhill butterfly is a lover of warm chalk and limestone hillsides. Its caterpillars are accompanied by ants and the adults favour knapweed and other purple flowers as a nectar source. It is a real testament to the rich diversity of habitats in Norfolk that such a thriving colony exists here and long may it remain so. 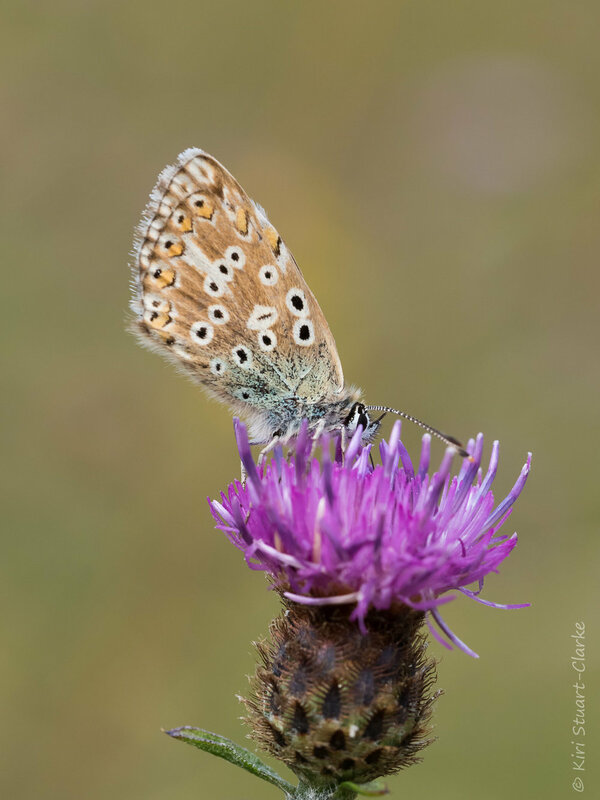 More of my images of chalkhill butterflies can be seen in my lycaenidae butterfly gallery. [singlepic id=259 w=800 h=0 float=center] In between the showers I've been venturing out to try to find butterflies that are surviving the difficult summer we are having. One species that seems to be faring well are ringlets, a new species for me that I've seen only since moving to Norfolk. In the last couple of weeks there have been several sites where there have been large emergences and I've counted over 30 individuals in a short walk. [singlepic id=189 w=700 h= float=center] At last, belatedly, the butterfly season has arrived. My first butterfly photo of 2012 was of a grizzled skipper, a relatively rare species, particularly so as far north as Norfolk and a new butterfly species for me. Its the earliest skipper to appear, and rarely visits flowers, instead it stays close to the ground basking. Wild strawberries are one of the favourite foodplants of their caterpillars. My second was an orange-tip butterfly, which seems to be faring well in recent years and has increased its range. Though they're far from scarce I'd never seen an orange-tip butterfly until I moved to Oxfordshire and I still have a soft spot for them. Its been interesting to note how much later spring arrives in Norfolk than it did back in Oxfordshire. I saw my first orange-tip butterfly at Whistley woods on 12th April but they didn't emerge in my patch of Norfolk until exactly a month later, the 12th of May. It will be interesting to see how the wettest April for some time will affect the butterfly population, which suffered last year from the impact of a very dry sunny spring. Time will tell..